Even when a person is in hospice care, there is no way to accurately predict how long he or she has left. But there are many changes associated with the dying process. In a person with a terminal illness such as cancer, the final few days of life are collectively known as the active dying process or impending death. During this difficult time, it’s often preferable to arrange for end of life care in your Memphis-area home if you haven’t done so already. Professional end of life care relieves you of the burden of meeting your loved one’s needs and instead allows you to focus on the time you have left with him or her. A terminal illness often inflicts severe fatigue on patients. This excessive tiredness becomes more pronounced during the active dying process . Your loved one is likely to fall asleep frequently, even in the midst of a conversation. Some patients become semi-comatose or completely comatose. Despite this, it’s thought that a person’s hearing is one of the last senses to go. Your loved one may still hear you when you offer comforting words. Sensory changes can be difficult for a dying person’s loved ones to come to terms with. A hospice care provider may warn you to expect visual or auditory misperceptions. Your loved one might think the TV is on when it isn’t, for example. Visual and auditory hallucinations may also occur. As a patient draws closer to death, the systems and functions of the body begin to slow down. 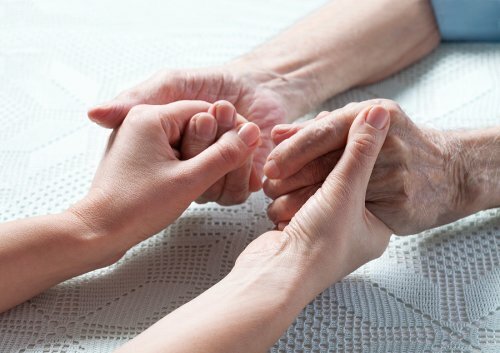 These signs are often alarming for family members to witness, but you can rest assured that the hospice care provider will keep your loved one as comfortable as possible. Your loved one will feel colder to the touch. There will likely be changes in the rate and rhythm of breathing. The patient may stop breathing for a while or breathing may cycle from being quite rapid to very slow. There may be a rattling or gurgling sound with breathing; this is due to fluid accumulation in the lungs. When a person is close to death, he or she no longer accepts food or fluids and the urine output decreases dramatically. Do not be alarmed if the urine is an abnormal color. Clinical death is the first stage of death. It begins when a person’s heart stops beating. Within a matter of minutes, the lack of oxygen causes the brain cells to start dying off. This is known as biological death. When a loved one is receiving hospice care in Memphis , it can be extremely difficult for family and friends to come to terms what is happening. It’s important to remember that end-of-life care is focused on your loved one’s comfort, so you can feel confident that he or she is not suffering. 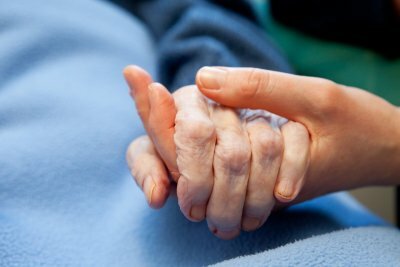 Part of hospice care is also caring for the family and friends of the person who is nearing the end of his or her life, so rely on the help that is available. Remember to make time for yourself each day to focus on something that brings you pleasure, whether it is a coffee with a friend or simply watching television. Let the hospice provider meet the care needs of your loved one so you can focus exclusively on the time you have together. Don’t fall victim to isolation. Talk about your feelings to family and friends, and ask for help from the hospice caregiver when you need it. He or she can be a tremendous source of comfort, information, and support during this time. Alzheimer’s disease is one of the most common issues affecting seniors who require elderly care in Memphis. If your loved one has recently been diagnosed with Alzheimer’s, it is essential to work with caregivers who specialize in dementia and memory care. Only an experienced team will be qualified to provide compassionate and effective support to individuals who suffer from dementia. Continue reading to learn more about Alzheimer’s disease progression and the symptoms that you might notice in each stage. As an elderly care provider who cares for Alzheimer’s patients will tell you, the early stages of Alzheimer’s can vary. Alzheimer’s disease usually begins with changes in a patient’s behavior that are so minor that they may go unnoticed. The most common early symptom of Alzheimer’s is loss of memory of recent events. Alzheimer’s patients may initially struggle to recall something that happened the day or week before and may also have a hard time learning new information. Confusion is another common change during the early stage. An Alzheimer’s caregiver cautions family members to watch for more marked changes during the middle stage of Alzheimer’s. At this point, a patient will likely need help with their normal daily activities. An in home caregiver may be employed to provide support with cooking, cleaning, dressing, and bathing. Alzheimer’s patients generally become more forgetful as time goes on and may struggle to remember words or names. During this moderate stage, an Alzheimer’s patient may also get frustrated or angry as they sense their loss of control. During the late stages of Alzheimer’s, a patient will likely need senior assisted living services or professional in-home care. 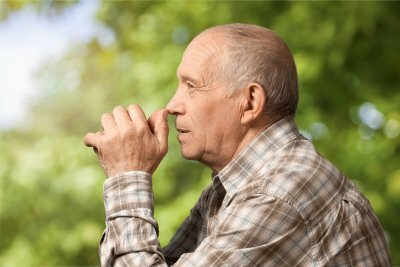 An Alzheimer’s patient may have a difficult time eating, swallowing, or controlling his or her bladder. Eventually, he or she may lose speech entirely, although a few words may still be uttered. Caretakers and the presence of family members are essential, as an Alzheimer’s patient still very much recognizes signs of love and affection even as memory suffers. It’s important to identify the early warning signs of Alzheimer’s disease so that your loved one can receive dementia home care near Memphis as soon as possible. While there is no cure for Alzheimer’s disease, early intervention can potentially slow the progression of symptoms. If your loved one is unable to care for himself due to his Alzheimer’s symptoms, you should hire a home health aide or in-home caregiver for assistance. Watch this video for valuable information about identifying the early signs and symptoms of Alzheimer’s disease. You’ll get step by step instructions about recognizing the most common Alzheimer’s symptoms so that you can get your loved one dementia care. 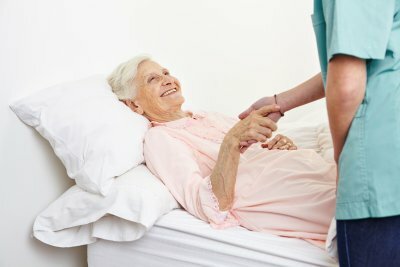 If you believe that your loved one is suffering from dementia near Memphis, you should seek help from an assisted living agency as soon as possible. Dementia home care services will ensure that your loved one remains safe, healthy, and cared for when he cannot care for himself. Here are some of the early indicators of Alzheimer’s disease and dementia that may indicate that your loved one could benefit from dementia home care . As we age, we all begin to suffer from a certain degree of memory loss or have difficulty remembering things. 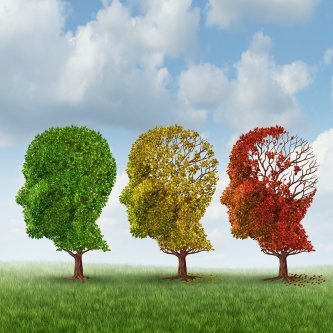 However, dementia symptoms include a gradually worsening memory loss that is obviously abnormal and markedly different from occasionally misplacing your keys or forgetting an important appointment. With dementia, memory problems are the first and most obvious sign of the disease. You may notice that your loved one frequently forgets dates, events, new information, people’s names, addresses, and directions. Dementia is a chronic condition that gradually causes the neurons in the brain to deteriorate, causing significant cognitive impairment. As dementia progresses, your loved one’s attention span, concentration, judgment, ability to plan, and decision making skills will become severely disturbed. He may not be able to follow a recipe, make simple decisions, or keep track of his monthly expenses. You will notice that your loved one is either falling behind on necessary chores, or frequently asking for help with completing them. As dementia symptoms worsen, your loved one will exhibit dramatic changes in personality and mood. In some cases, personality changes develop prior to symptoms of cognitive impairment, or they may develop in response to cognitive problems. Personality and mood changes are also often the symptom that prompts family members to seek dementia home care or senior assisted living services. Your loved one may suddenly seem apathetic, emotionally flat, unexpressive, and indifferent to his surroundings. He may also have bursts of fear, anger, and paranoia. Depression and anxiety are also common mood swings associated with dementia. Millions of families are affected by Alzheimer’s disease, which is the most common form of dementia. Patients with Alzheimer’s in Memphis require an increasing level of at-home healthcare as the disease progresses. 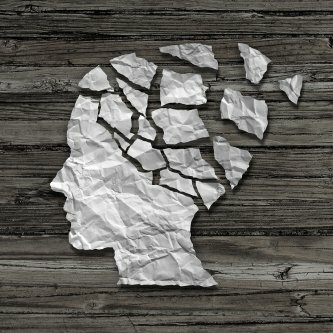 This form of dementia begins with the impairment of short-term memory, and then progressively affects logical thinking, emotions, behavior, long-term memory, and eventually, basic bodily functions such as respiration. For more information about the pathophysiology of Alzheimer’s disease, watch this helpful animation. It explains how beta-amyloid protein plaques and neurofibrillary tangles develop within the brain, block communications between cells, and induce the death of nerve cells. You’ll also learn that the progressive nature of the disease is due to the gradual spread of plaques and tangles throughout the brain, beginning with the hippocampus. One of the hardest decisions adult children face is recognizing when their parents need care. This reversal of roles can be difficult for everyone to handle at first, but making decisions about care as soon as you notice signs that your parents need assistance gives you the freedom to make choices without the pressure of an emergency situation. This infographic from Caring Companions details some of the signs that your parents could benefit from home care and how to start a conversation about home health care with your family. Our caregivers serving Memphis can provide a range of care services, from hospice and Alzheimer’s care to basic elder care duties. Call us to learn how we can give you peace of mind about your parents’ wellbeing, and please share this information to help others who are also facing difficult decisions about their aging family members.